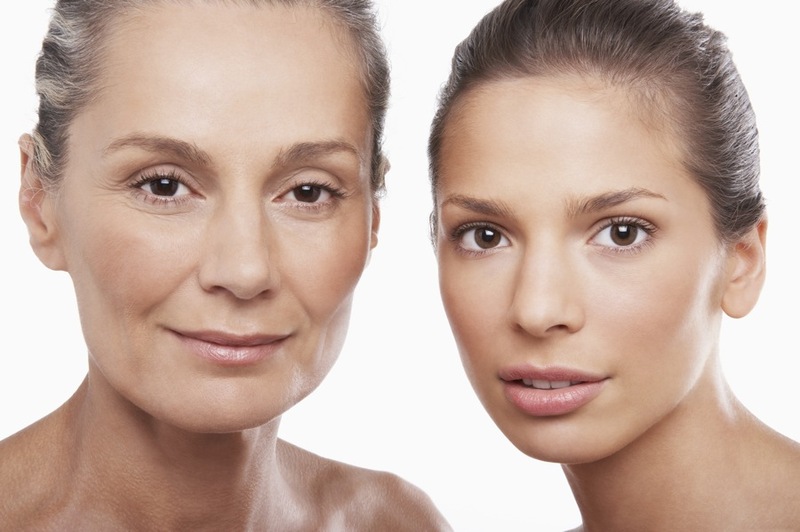 There is no escaping the aging process, and the fountain of youth has yet to be discovered. In our 20’s, skin and facial structure is at its peak, baby fat gives the face a fuller look and skin is supple with a glow. In our 30’s we start to notice less baby fat, volume loss, while the skin starts to look tired with some wrinkling. In our 40’s we notice bone loss, while frown lines, and sun damage are more prominent. Preventative action can be taken at any age with appropriate treatments, and a proper skin care routine. Men and women in their 20’s should take preventative action in regards to their skin. Sunblock is an incredible protector for skin. At this age, although skin is at its prime, acne may be an issue. Laser treatments and chemical peels can help combat this concern. In our 30’s collagen production starts to slow down. Some, if not most of the baby fat is gone and skin looks thinner. Wrinkles such as frown lines and crow’s feet may become more prevalent. Some may also notice broken capillaries around the nose or cheeks. With some help from Botox and Dermal Fillers, restoring lost volume and relaxing muscles from creating future frown lines can aid in preventing some aging. Chemical peels and IPL can help rejuvenate the skin, tighten pores, as well as evening out skin texture. IPL will also target sunspots, broken capillaries and spider veins. The 40’s unfortunately can bring saggy thinner wrinkled skin. Skin shifts with time, eye sockets begin to hollow, and the cheeks deflate while the jaw recedes. Wrinkles are more pronounced even at rest, while bone loss is more apparent. Collagen stimulation and reproduction is essential at this point. Ultherapy is a good choice for creating new collagen, lifting the skin as well as tightening the muscles. Micro needling as well can regenerate and thicken skin to youthful thickness and natural glow. Botox and dermal fillers such a Juvederm, Teosyal are non-surgical injections that will replace volume where bone has been lost, such as the temples, nasal folds, chin, lips and cheeks. Although age is nothing but a number, slowing the effects of aging can be easier than ever today. With anti-aging treatments, minimally invasive or completely non-invasive, it is possible to attain a refreshed, healthy, and vibrant face year after year. For more information on anti-aging treatments visit Lasting Looks Clinic at www.lastinglooks.ca .